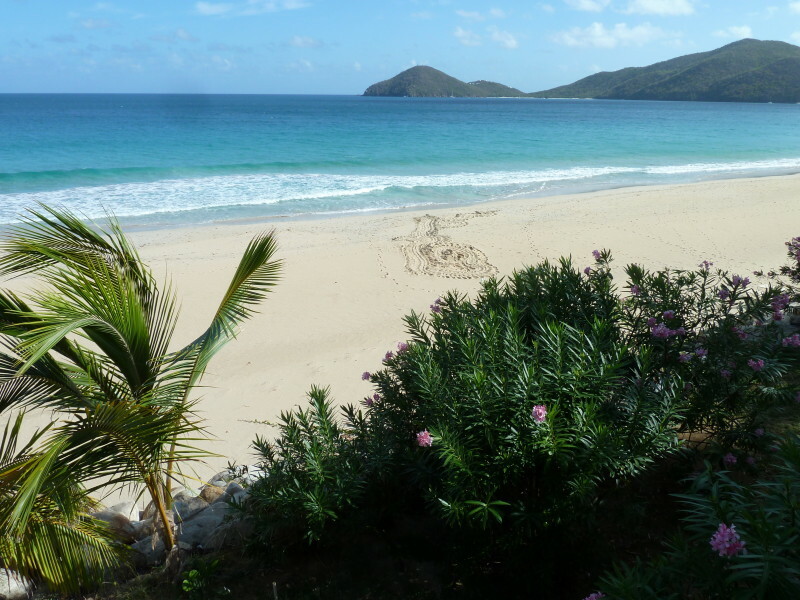 One of this earths’ most precious creatures, one that is endangered, lays its eggs in the British Virgin Islands. 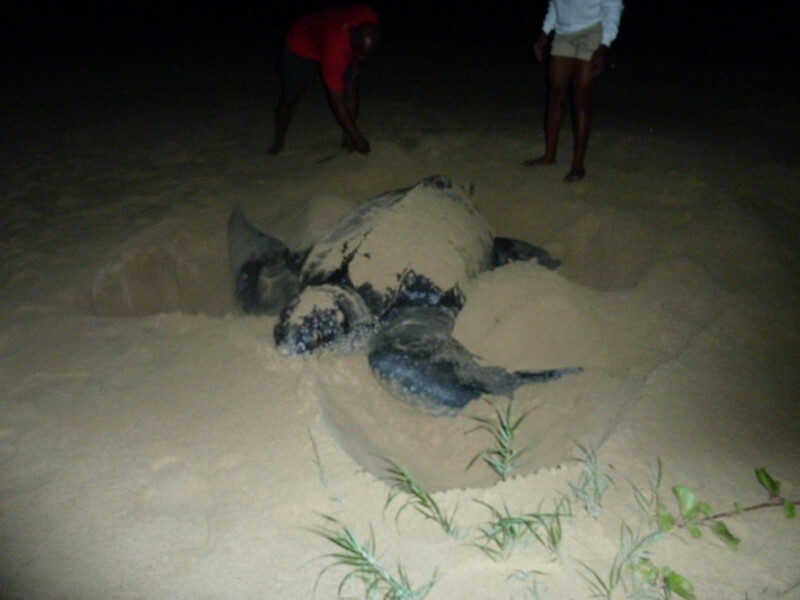 The glorious female Leatherback Sea Turtle returns to the beach she was born on or one nearby to lay her eggs, using her front and back flippers to pull herself up onto the beach. 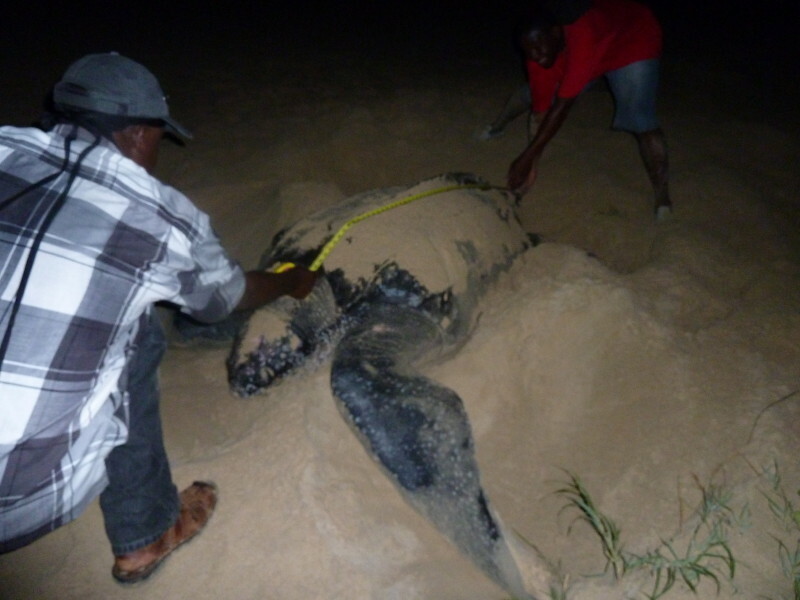 She is the largest turtle on earth, and you might actually get to see one! 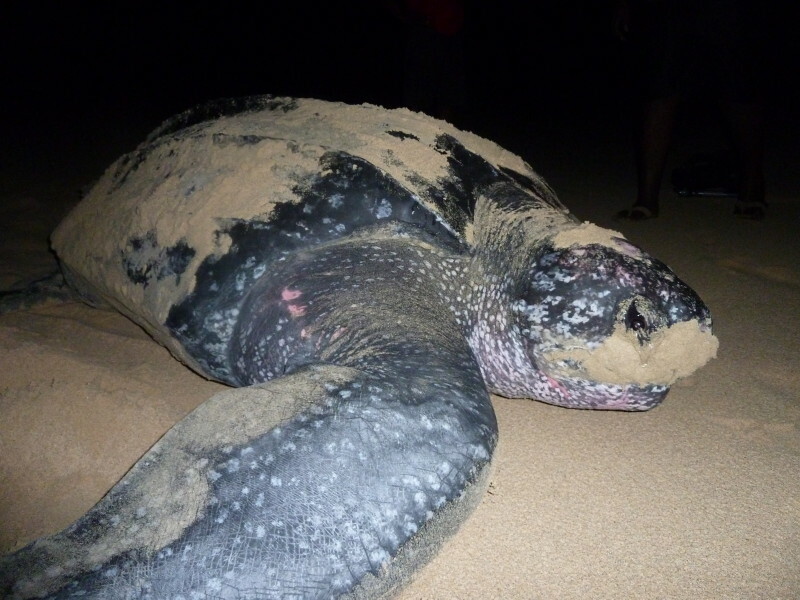 Leatherbacks mate at sea, and as the female prepares to give birth she returns to the area where she was born and at night will pull her sizable body (550 – 1500 pounds) out of the ocean and far up onto the beach. 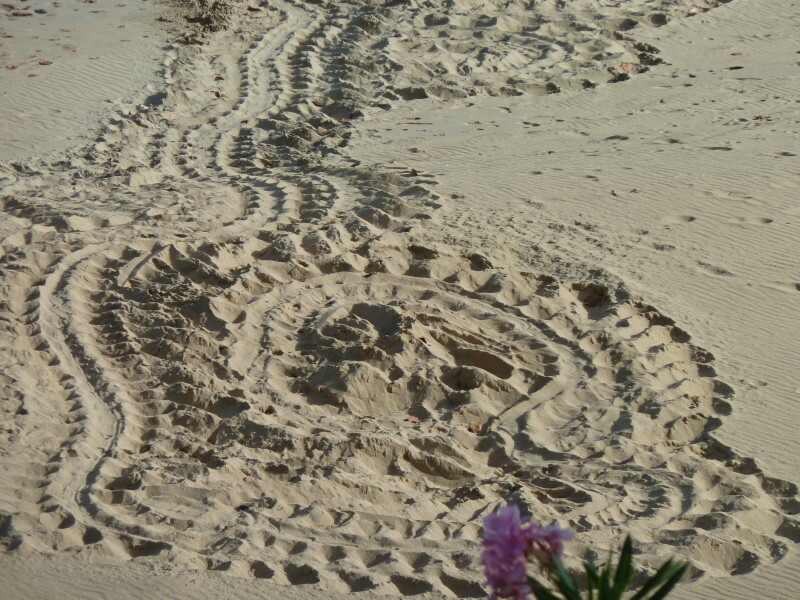 Her signature tracks from the exhausting journey of pulling her body using her four flippers up the beach – almost look like a dune buggy drove up on the beach, ending in a circle where she actually lays her eggs. Her travel is difficult, there are many predators in the ocean and on land, and sadly humans can be one of them. The joy is when she lays her eggs, and many volunteers do all they can to protect her nest. She may lay over a hundred eggs per clutch. After laying her eggs, she uses her fins to cover the eggs and disguise the nest from predators. And then, she laboriously pulls her body back into the ocean and swims away. 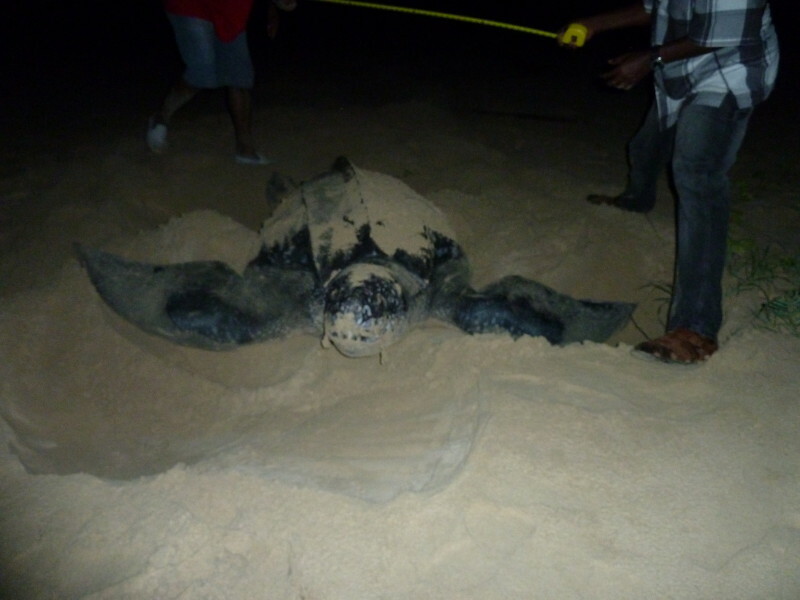 The BVI government dedicates resources to help protect these creatures. Additionally, many local volunteers do all that they can to protect these amazing reptiles. Many dedicated individuals spend countless hours checking the beaches during the birthing months to protect, count, and measure the size of this wonderful species. 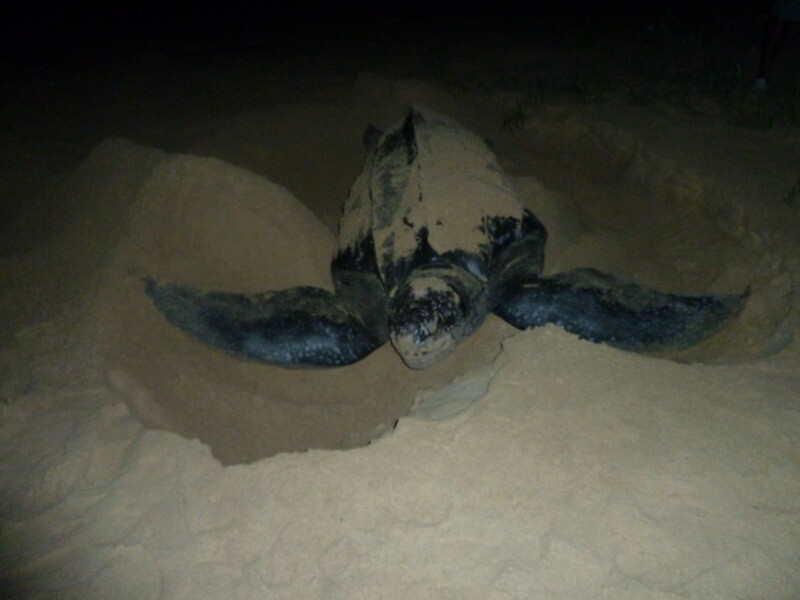 The Leatherbacks lay their eggs at night on several Tortola beaches during the spring, and their eggs hatch 60 to 70 days later. 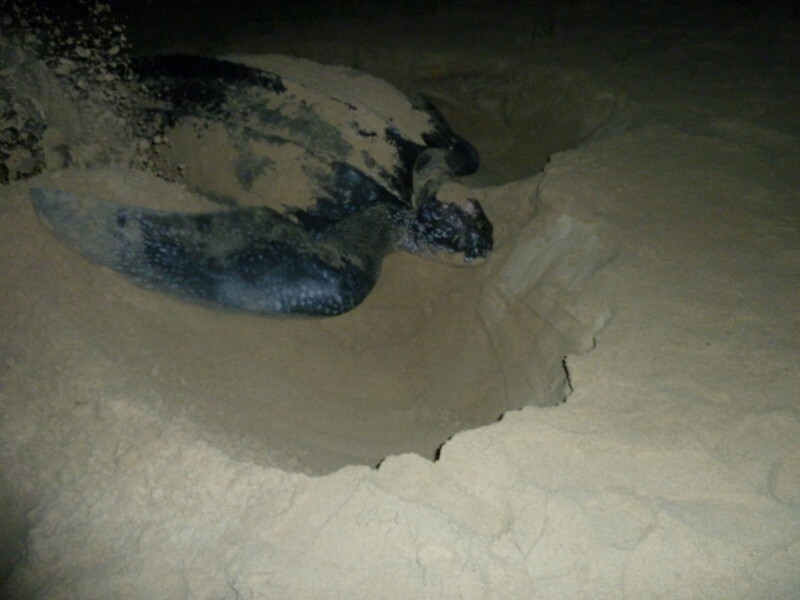 Again, volunteers do what they can to help the hatchlings make the journey from the nest to the ocean safely. This trek is full of danger from birds, dogs and other predators. 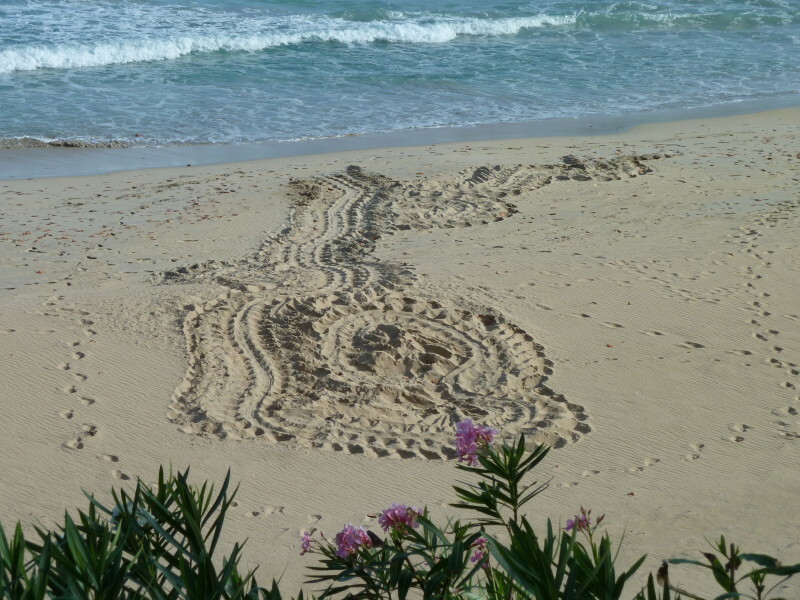 On occasion, you can see the hatchling tracks in the fresh morning sand if you are observant on your morning beach walks.